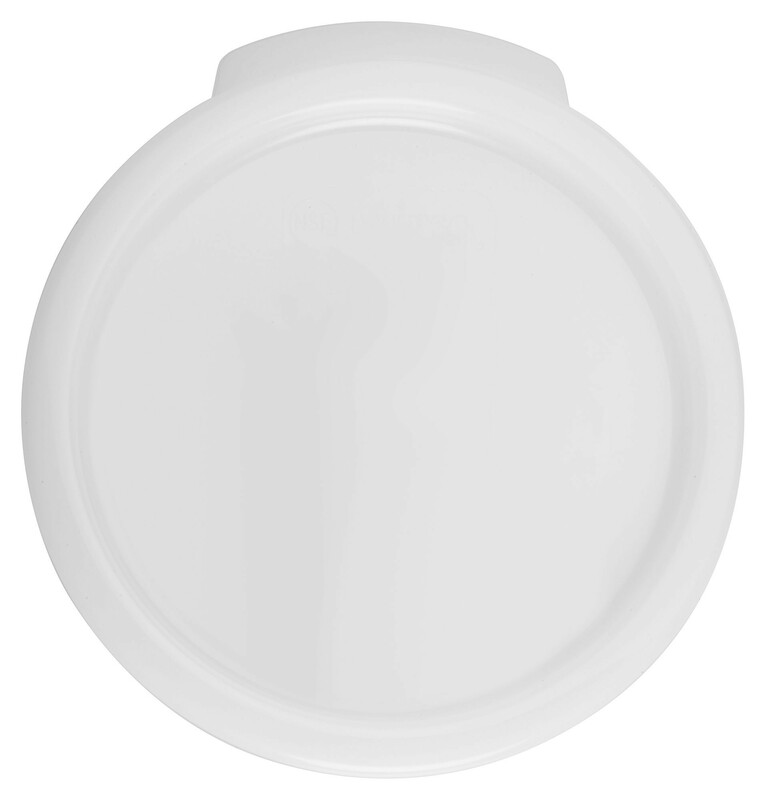 The Winco PPRC-68C White Round Cover fits 6 and 8 Qt. Storage Containers is perfect for protecting your food from airborne contaminants. Made of highly durable polypropylene, it can handle heavy use and provides a tight seal to lock in freshness. For added convenience, it has a thumb tab that makes it simple to remove.